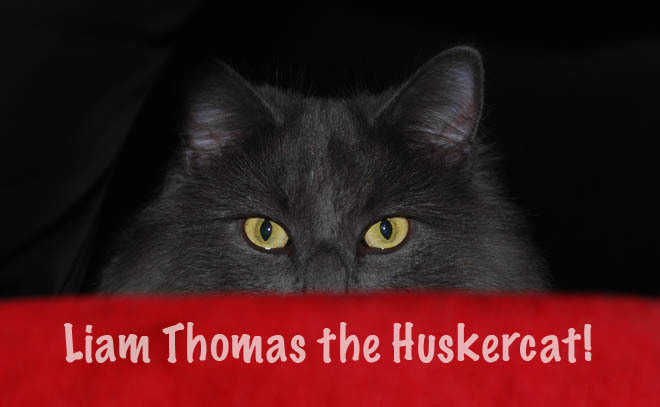 Liam Tommy the Huskercat: What's in a Dog Brain?? What's in a Dog Brain?? Ok, I know what you're thinking. There's not a punch line. Some so-called canine neuroscientists (scientists who study dogs ... not the other way) tricked some stupid dogs into getting strapped down and then ran them through a brain scanner. I know, I know, this all presupposes that dogs have brains! But these "scientists" seemed to be comfortable leaping to that conclusion. There was a lot of chatter on the cat blogs about this silliness. The news picked up on this like it was interesting or something. (Smithsonian The Scientist Current Biology) What they found was that in both dogs and humans, the caudate nucleus got all jumpy in both dogs and peoples when they experience pleasure. To test this they gave a dog a piece of a hot dog. And guess what, dog brains light up when they get a piece of a hotdog. For regular people, think of it as a pleasure response. For my more sciency readers, this takes place in he caudate nucleus, which, as we all know, is rich in dopamine which is what jacks up some neurotransmitter chemical goo. That's right. Dog brains are full of goo. According to the scientists, no need to take my word for it! Another dog being tortured. Neuroscience fact: Dogs have to hold themselves really still so the scanner can find their brain since it's really tiny. 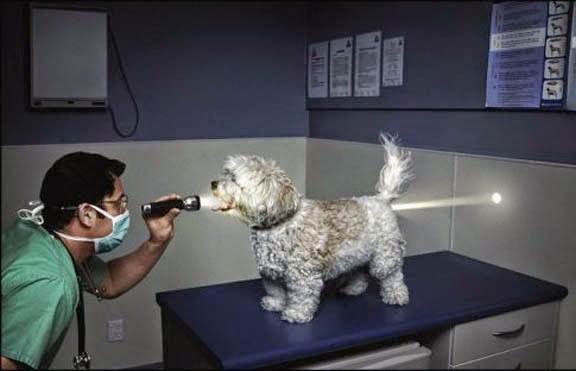 Until this fMRI dog research, I thought this was the only medical procedure that dogs needed.